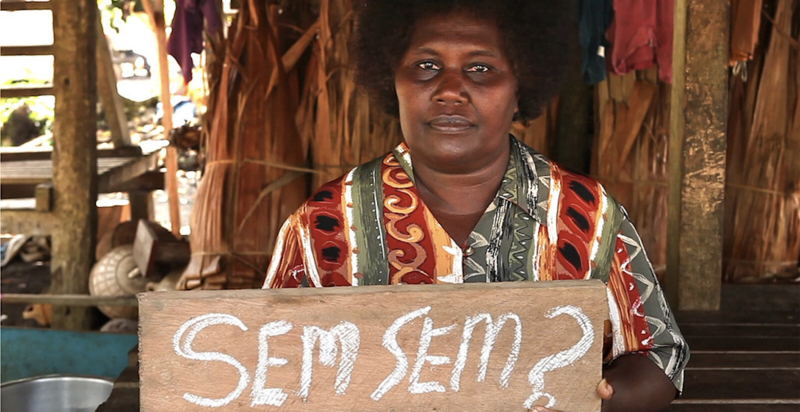 Solomon Islands Elections: Continuity, with Change – Or Vice Versa? Elections were held in Solomon Islands on 3 April for the country’s 50-member parliament. The elections were observed by a range of groups, including the Commonwealth, the Pacific Islands Forum, the Melanesian Spearhead Group and the Australian National University (ANU), as well as a large collective of domestic observers. It’s premature, at this stage, to offer considered comment on the conduct and integrity of the elections themselves, other than to note that they were conducted in a very peaceful and orderly atmosphere. ANU expects to issue a preliminary report on its observations in April, and a full report in the second half of 2019. With that caveat in mind, it is, nevertheless, possible to make some preliminary comment on the election results. Although Solomon Islanders now know the composition of their new parliament, they do not yet know who will form the next government. The new single-chamber house comprises 21 independents, with the remaining 29 MPs distributed among eight political parties. As ever in Solomon Islands, therefore, the next government will be a coalition, and negotiations will already be underway with a view to the formation of a majority. The election of the new prime minister, and hence the new government, is not likely to take place until after Easter. A key outcome of the election is that, of the 50 members of the new parliament, only 14 were not members of the previous parliament. Fully 36 members (or 72 percent) of the previous parliament were re-elected. For Solomon Islands, that is a high rate of return. It is very close to the return rate of members of parliament at the 2014 national elections (74 percent), and sits well above the long-term average (at least before this election) return rate of 55 percent. The new parliament will have two women MPs, as did the previous parliament for at least part of its term. This remains the highest level of representation by women in Solomon Islands parliament since independence in 1978. Twenty-six women contested the 2019 elections, out of a total of 333 candidates. The elections saw the departure of a handful of major political figures from parliament: former Prime Ministers Derek Sikua and Snyder Rini both lost their seats, as did former Foreign Minister Milner Tozaka and former Minister (and militant leader during the period of Solomon Islands’ “ethnic tensions” period between 1999 and 2003) Jimmy “Rasta” Lusibaea. Another notable result was the failure of former Prime Minister Gordon Darcy Lilo to regain the seat he lost in 2014 (and failed to win in a by-election last year). A prominent newcomer to parliament is Peter Kenilorea Jr, the son of Solomon Islands’ first prime minister. Another new measure adopted in 2019 was the imposition of a 24-hour blackout period prior to election day, during which campaigning of any form was outlawed. This was aimed at undercutting what, in earlier elections, had become frantic last-minute vote-buying by candidates and their agents – a phenomenon known colloquially in Solomon Islands as “Devil’s Night.” It remains too soon to assess the effectiveness of this measure. However the conduct of the elections is assessed, there remains a considerable concern among civil society groups in Solomon Islands at the broader context in which elections take place. Many local observers argue that the resources available to MPs in Solomon Islands in the form of “constituency development funds (CDFs)” tilt the playing field in favour of incumbents, and against newcomers. It has been speculated that the growth of CDFs in the lead up to the 2014 elections contributed to the low turnover at that election. ANU’s qualitative research during the 2019 elections sought to probe this issue and should shed light on this question once our data is collated and analysed. Commentators have also pointed to the surprisingly large increases in the level of registered voters in a handful of constituencies in Solomon Islands prior to the election. Against an overall average increase in registrations of around 25 percent nationally compared to 2014, two constituencies saw increases in registrations of more than 80 percent, with a handful of others seeing increases of between 50 and 65 percent. 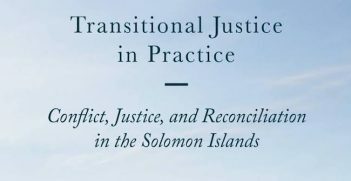 It’s not illegal to change one’s registration in Solomon Islands (subject to broad residency qualifications) but the uneven nature of changes in registration patterns suggests that this phenomenon requires closer examination and research. 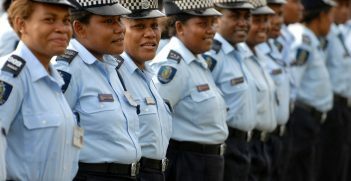 These were the first national elections to have been held in Solomon Islands since the departure, in mid-2017, of the Regional Assistance Mission to Solomon Islands (RAMSI) and were seen by many as a key test for Solomon Islands’ national security institutions and particularly for the Royal Solomon Islands Police Force (RSIPF) which was responsible for the security operation for the election. It should be noted, nevertheless, that the Solomon Islands Electoral Office enjoyed considerable transport, logistics and communications support from the Australian and New Zealand Defence Forces (amounting to approximately 300 personnel, six helicopters and one naval vessel) over the immediate pre-polling, polling and counting periods. The extent to which such support is required, or might be available, in future elections will be a key question for planners in both Solomon Islands and Australia and New Zealand looking ahead. James Batley PSM is a distinguished policy fellow at the Australia National University’s Department of Pacific Affairs (DPA). A former Australian High Commissioner in Solomon Islands, and later head of the Regional Assistance Mission to Solomon Islands, he led DPA’s election observation mission to Solomon Islands. 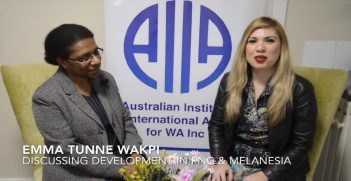 Growth and levels of development in Papua New Guinea and Melanesia continue to improve but issues of governance, tribal affiliations and government corruption are slowing the process.